If one sword is good, then two swords have got to be better, right? You tell us. This Black Twin Ninja Sword Set puts two ninja swords into your hands, allowing you to experience the power and the dizzying grace of wielding two blades at the same time. 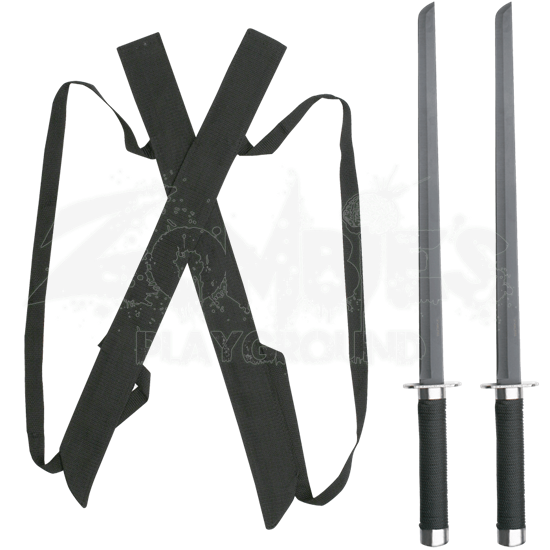 This set contains two identical ninja swords, both of which feature a stainless steel blade with a black steel finish and a straight-edged design that mimics the form of the classic Japanese chokuto. Each sword also features an unadorned silver guard and pommel, as well as a black-wrapped handle to provide a secure and comfortable grip. Included with the swords is a pair of shoulder-harness sheathes that are designed to secure the swords onto your back when they are not in use. 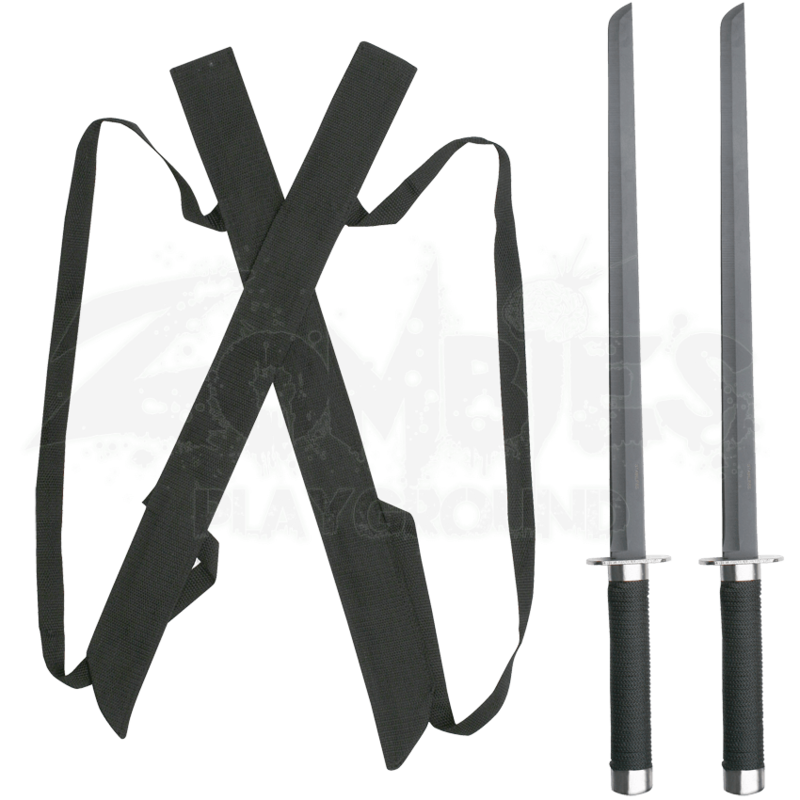 The understated design of these swords makes them a perfect addition to the traditional ninjas attire, and the two-for-one price makes this Black Twin Ninja Sword set a bargain that no shadow warrior should pass up. The sheath is flimsy, it could use some modifications so that the harness doesn't fall off or sink out of reach when someone reaches for the swords, but the swords them selves are light weight, sharp, and are super easy to use, 25/25 stars in my book, though, I will say that the string should be more secured than what it is, other than that, it's a great purchase.